The animals know: something is beginning, or something is ending. Something has changed. Call it climate change, call it human interaction, call it nature. The animals are looking for what has drawn them. The humans look on, observe. The humans aim to know these animal desires: to learn them, to learn from them, to understand why the animals behave in the prescribed way that scientists know, or why they do not. Call it exploration, call it research, call it nature. The humans are looking for what has drawn them. Where does language fit into this world? when past dues, when shore erosion. How do we name the bodies of others? —“We All Want To See a Mammal"
How do we name what we cannot see? My heart, my heart—I am so often lost. How do we map our time apart? What are we to do with the wreckage created by living? we’ve not wrecked it, not yet. What does the I know of the self? in which I began has been supplanted. What can be learned from the wisdom of animals? which way (and when) to begin. So much of the book relies on the relationships of subjects—of animal to human, of land to sea, of the living to the dead, of the self to the world. By the end of the book, one has studied innumerable mammals, fish, habitats, human choices, work, and language. 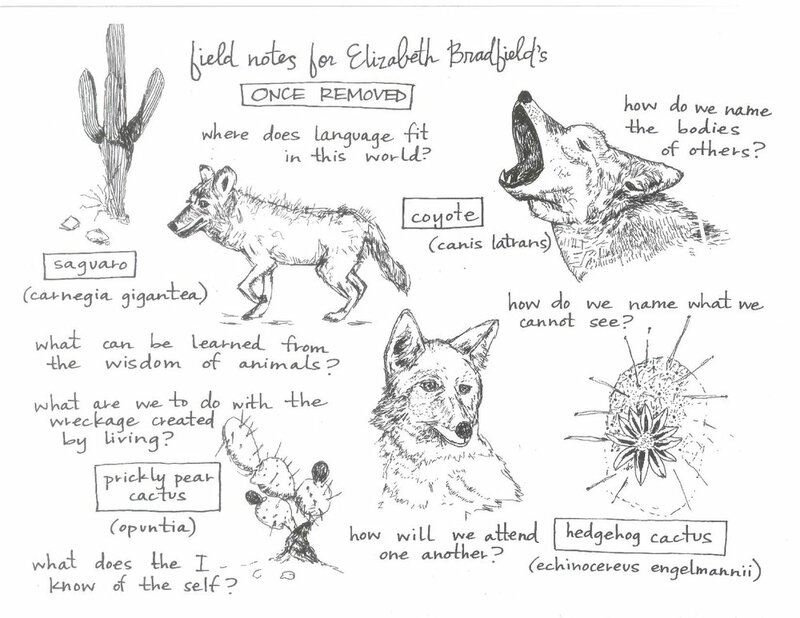 Through repeated observations and the asking of questions, hypotheses tested, Bradfield builds poems that use scientific method as an ongoing process. Even when there is a conclusion to be drawn, we pause just long enough that it can then be refined. Bradfield’s poems, though they do much to navigate the complex environments of emotion, relationships, and knowledge, ultimately ask just one thing of us: how will we attend one another? Laura Maher is the author of the chapbook, Sleep Water (dancing girl press, 2017). Her poetry has appeared in Crazyhorse, Moonsick Magazine, The Collagist, New Ohio Review, and Third Coast. Laura holds a Bachelor of Arts from the University of Arizona, a Master of Arts from the University of Texas at Austin, and a Master of Fine Arts from Warren Wilson College. She lives, works, and writes in Tucson, Arizona.